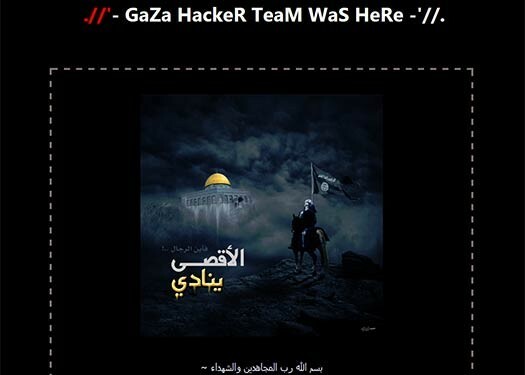 The website for one the largest print newspapers in the Jewish world, the Jewish Press, has been hacked and their homepage has been replaced with messages of hate and threats by a group calling themselves ‘Gaza Hackers Team’. 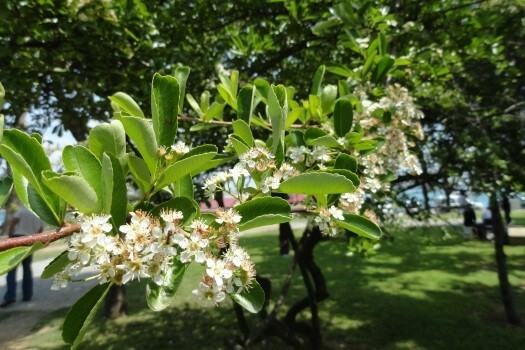 This coming Sunday, the 30th of Nissan (April 19) will be the last day to make Birchas Hailanos, the blessing recited over blossoming fruit trees in the spring. 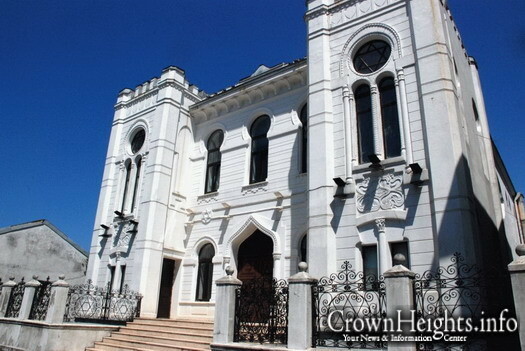 The former Soviet republic of Georgia’s State Agency on Religious Issues on Thursday decided to transfer ownership of the magnificent Batumi synagogue to the Jewish community. 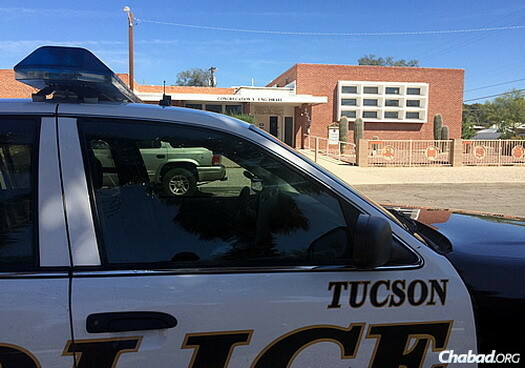 Detectives from the Tucson Police Department found several silver pieces belonging to Congregation Young Israel-Chabad that were stolen two months ago. 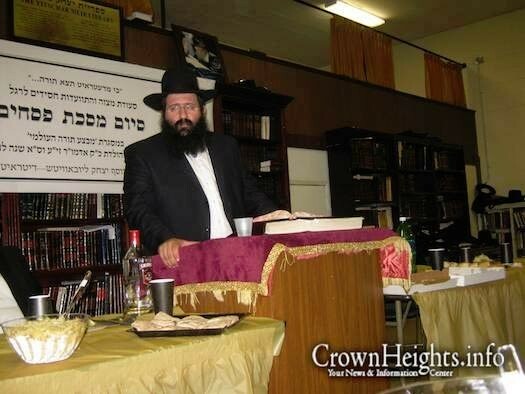 As such, they will receive a donation for their efforts from a fund set up by a synagogue member. Officials with Congregation Young Israel-Chabad in Tucson, Ariz., announced that they will be donating body armor to the Tucson Police Department after detectives there recovered several silver items that were stolen nearly two months ago from the synagogue building. PSA: New Traffic Rule on Lincoln Pl. 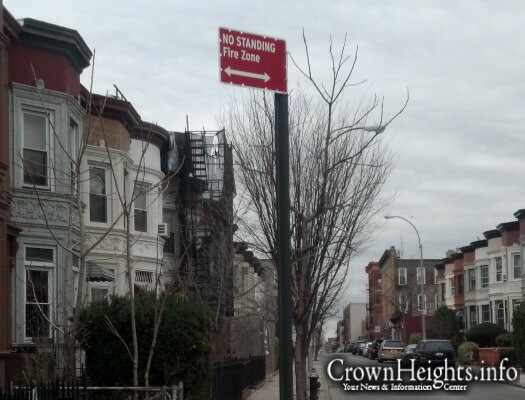 Have you ever arrived at the Utica Ave-Crown Heights subway station in a hurry to board the train, only to find that the MetroCard Machine was out of order? According to a recent police report, the machine’s malfunction may not have been a mechanical error, but the work of a criminal intent on forcing you to buy an illegal ‘swipe’ through the turnstile from him. 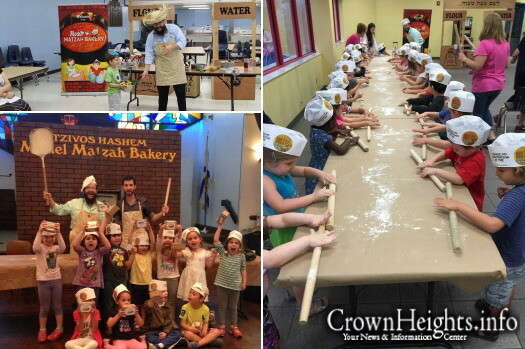 Rabbi Shmuly Gutnick of the Chabad Youth Network traveled around Florida and brought the Pesach experience to life to thousands of Jewish children in the days leading up to the holiday. 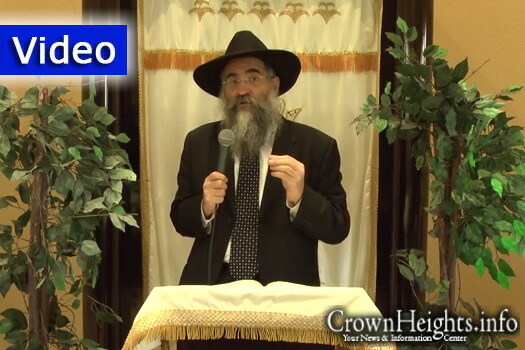 Rabbi Yitzchok Minkowicz, director of Chabad Lubavitch of Southwest Florida, delivers his insights on this week’s Parsha – Shmini. This week Rabbi Minkowicz answers the question: How can we be inspired to go out of our comfort zone.